CityMD, the New York metro area's largest urgent-care chain, is bulking up some more. The company said today that it has agreed to acquire Stat Health, a competitor with 12 walk-in clinics on Long Island, in a move that expands its presence in Suffolk County. The urgent-care company also said it has separately acquired FirstMed Immediate Medical Care, which has a single clinic in Flushing. 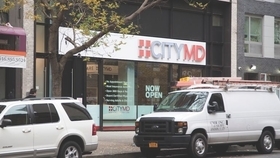 When the deals close, the 13 urgent-care centers will transition to the CityMD brand, bringing CityMD's total number of locations in New York, New Jersey and Washington state up to 100. The chain started eight years ago with one storefront on the Upper East Side. Dr. Nedal Shami, CityMD's chief growth officer, said Stat Health offers the quality of patient care CityMD was looking for. "It's not only about finding a match geographically. Finding a like-minded health care practice makes it more exciting for us," he said. Shami declined to disclose how much CityMD is paying for the acquisitions. While CityMD is the largest local player, there are about 500 urgent-care centers statewide, according to the Urgent Care Association of America. The new deals demonstrate the chain's willingness to acquire some of its smaller competitors as a way to enter new areas without building its own storefronts. CityMD's expansion allows it to provide greater value to the insurance companies that include the urgent-care provider in their networks and its health system partners that have agreed to refer patients to CityMD. Catholic Health Services of Long Island in particular will benefit from CityMD's move into Suffolk, where some of the six-hospital system's facilities are located, said Shami. The company has worked to improve its relationship with primary care doctors by staffing a dedicated call center in Uniondale, Long Island, to follow up with physicians after their patients visit a CityMD clinic. Private-equity firm Warburg Pincus bought a majority stake in the chain in April in a deal that valued the company at $600 million, according to Reuters. Stat Health had private-equity backers of its own. Spanos Barber Jesse & Co., of Walnut Creek, Calif., led an undisclosed investment round in 2016. The company was founded in 2005 by emergency medicine physicians Drs. Paolo Coppola and Marc Salzberg. "While this opportunity with CityMD and Warburg Pincus materialized sooner in our investment than we had anticipated, the sale to CityMD was too compelling of an opportunity to pass up," Gus Spanos, co-founder and managing director of Spanos Barber Jesse & Co., said in a statement. Dorsey & Whitney served as legal counsel to CityMD, and Credit Suisse was its financial adviser. Stat Health retained McGuireWoods for legal counsel and Houlihan Lokey as its financial adviser. "Fast-growing CityMD to acquire chain of Long Island clinics" originally appeared in Crain's New York Business.